Friday 29 June – Sunday 1 July, The British Library, LondonThe Royal African Society’s annual celebration of contemporary literature from Africa and the diaspora returns to the British Library! Every year we showcase established and emerging talent from the African continent and its diaspora in what is now the UK’s biggest celebration of contemporary African writing taking place over an exciting summer weekend. 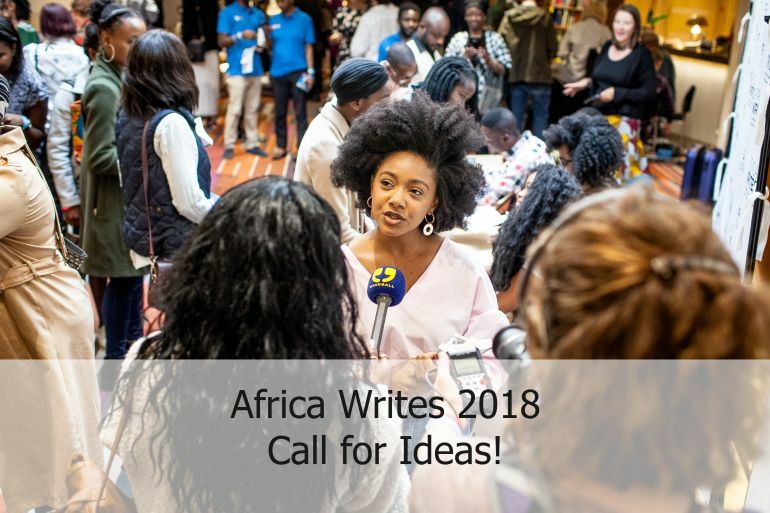 – Do you represent an author that you think would be perfect for Africa Writes? – Are you buzzing with an idea for a book launch or workshop that you would love to see at the festival? – Do you have an idea for a performance event or panel discussion? From the seeds of an idea to a fully-fledged plan, we would like to invite you to submit whatever ideas you might have, to influence and help create the festival in 2018. The submissions will be then reviewed by our advisory group, to work towards shaping the programme for Africa Writes 2018. This in turn, will inform our applications to secure funding for the festival to take place.